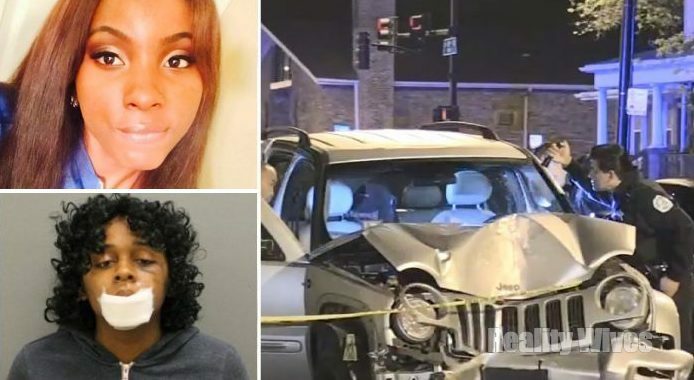 According to new reports from Chicago Tribune, a fight did happen before Tatyanna Lewis was rammed down by 24-year old Chynna Stapleton last week. Lewis’s best friend Jazz Clarke told reporters that the feud starting on Facebook. Lewis got tired of the social network drama and decided to fight Stapleton. They agreed to meet and fight. Clarke last spoke to Lewis on FaceTime at 11:06 pm. Lewis began streaming the fight on Facebook Live showing her punching Stapleton. A witness said Lewis even kicked Stapleton’s passenger door as she got back in her SUV. Stapleton was heard saying, “I’ve got something for you”. That’s when Stapleton drove her SUV over the curb and Lewis tripped trying to get away. Stapleton reversed and hit her again against the nearby tree, killing her. Stapleton got pregnant with Lewis’s boyfriend’s child when the two were broken up for a few months. Tyshaun Page and Lewis dated on and off for four years. Page told Chicago Tribune if he knew that Stapleton was meeting up with Lewis to fight, he would of intervened. Lewis was in a nursing program and the daughter of a Chicago police officer. The minor that was in the SUV with Stapleton was 13-years old and unharmed.